IN BRIEF, THE LATEST CARGO AIRLINE INDUSTRY NEWS. Shanghai Pudong International Airport’s largest cargo handler, Pactl, recorded an almost 10% (9.5%) year-on-year increase in cargo handled during December 2017. This was slightly below their record increase of almost 11% during November. December tonnage handled reached a total of 173,000 tonnes and the total 2017 tonnage passing through Pactl’s doors went up by 12.2% to 1.87 million tonnes. A new record for Shanghai’s largest handler. As the boom in the Far East continues, Pactl’s management is confident that 2018 will also turn out as a record year. 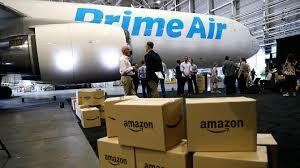 The U.S. press is speculating further on Amazon’s plans to expand and enhance their aviation operation. It is well known that they will have 40 B767Fs in operation by the end of this year operated by Atlas Air and ATSG. But, will the forty aircraft be enough to cover U.S. domestic services? Some say yes, however Amazon is being very tight lipped on the subject. Also, whether they will take up their options for at least a 20% holding in both Atlas and ATSG. The carrier which has renamed from Amazon Prime to Amazon Air is said to be talking with United Airlines about acquiring some of their passenger B767s for conversion to freighters. United currently still operates around 50 of the type which have an average age of 20 years. Space will be no problem for Amazon at their new Cincinnati hub which can handle up to 100 aircraft. Plenty of room for expansion. Amsterdam Schiphol Airport has handled 1.75 million tonnes of cargo in 2017, a 5.4% increase over 2016. The figures are to be taken as an estimate, as the final result for December is not yet available, said the airport’s Head of Cargo Jonas van Stekelenburg at the New Year’s Party of Air Cargo Netherlands. Volume growth was especially prominent from January through October, 7.4%. Due to the slot scarcity problem November brought a small decline of -0.9%. As result, AMS has not been able to benefit from the worldwide air cargo growth in December (-13%), Jonas admitted, despite higher load factors. Ostend-Bruges Airport handled 23,369 tonnes of cargo in 2017, a 5% increase. Marcel Buelens, CEO of Ostend and Antwerp airports says that the airport has noticed a demand from several cargo carriers to use Ostend-Bruges as an alternative for congested airports such as Amsterdam, Liege and Brussels. To-date Ostend-Bruges is served by two cargo airlines, Egypt Air and Strike Aviation. The International Air Cargo Association (TIACA), has signed three Memorandums of Understanding (MoU) with what they term as three key Latin American organisations. 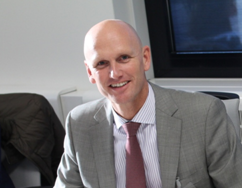 Furthermore, TIACA has appointed an own sales agent for the region. Sebastiaan Scholte, TIACA Chairman and CEO, stated that: “Latin America is an important growing region where up till now TIACA did not have that much exposure.” The three companies who signed the MoU with TIACA are Buenos Aires-based Americas Alliance, Bogota-headquartered Federation of National Associations of Cargo Agents and Santiago, Chile-based logistics provider AGUNSA. Atlas Air Worldwide Holdings has taken over an ex Thomas Cook Airlines passenger B767-300. The aircraft will be converted to a freighter in Tel Aviv by Bedek Aviation. They have also acquired another B767, this time from GECAS. The aircraft, also a passenger version which flew for EuroAtlantic Airways, will also be converted into a freighter by Bedek. FedEx has got rid of two freighters. An Airbus A310-300F has been retired from the fleet and ferried to Victorville for storage. FedEx now has only five aging A310s left in their fleet. They also returned a B747-400F back to Atlas Air. The aircraft was on a short-term ACMI lease in order to help handle backlogs during last year’s peak season.